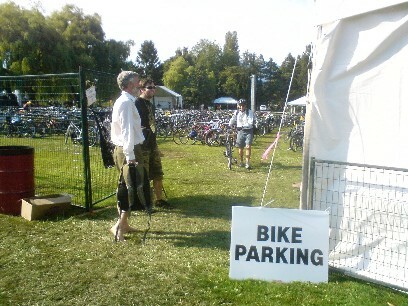 Yesterday, I learned of Bike Valet, a secure bicycle parking service being offered free at several festivals and special events in Vancouver this summer by BEST (Better Environmentally Sound Transport). This year, BEST is providing Bike Valet at a total of six events and festivals in Vancouver, including at two viewing locations for the Celebration of Light, a fireworks competition that takes place in Vancouver every year. 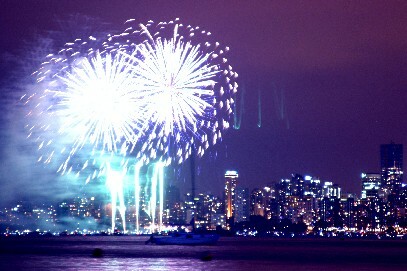 This year’s competitors for the Celebration of Light are Canada, the U.S. and China. Yesterday, Canada started off with a spectacular display based on the theme: Attack, with Godzilla featuring prominently in the beginning of the show.